Learn a little more about that bump on the back of your heel. When someone comes into our office with "heel pain" we usually are thinking plantar fasciitis. BUT, when that pain is in the BACK of the heel, it could be due to a Haglund's deformity. A Haglund's deformity is when there is a prominence on the back of the heel bone (calcaneus). 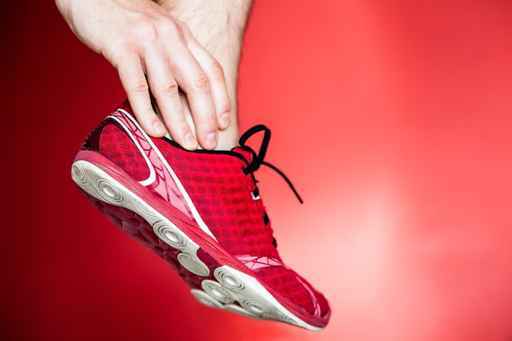 This is usually painful from shoegear irritation, though sometimes can be associated with an Achilles tendonitis. A Haglund's deformity arises from your foot type, and often occurs in people who have a tight Achilles tendon. In some cases, this bump causes no pain and in other cases it can become quite an irritant. If you have noticed a bump on the back of your heel, come and see a professional at Prairie Path Foot and Ankle Clinic. A quick exam can help us determine if the cause of pain in the back of your heel is from a Haglund's or something else!